How do you deal with the Police during a Demonstration? If you are a member of a protest group, informing yourself on the dos and don'ts of dealing with the police will ensure relations between your group and those officers assigned to monitor the event are kept non-violent. Use the following guidelines to keep peace between you and the police. • always present your id card or driver's license when requested. Here is a video just posted on the internet about an example of police brutality in Haiti. According to the video, on April 26, 2011, Haitian Police Officers (PNH) were involved in insulting several detainees in the region of Grande Anse, Haiti. According to the individual who uploaded the video, "One of the detainees was unconscious, a second pleading for mercy, while the third man was beaten, kicked in the face and has rocks thrown at his head by a Police officer. Ricardo Seitenfus, the OAS representative for Haiti, was removed from his position for unflattering statement made about the role of MINUSTAH in Haiti. 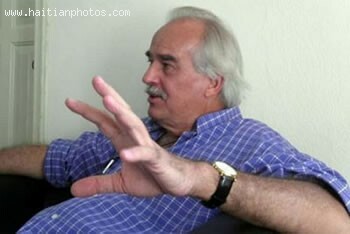 In an Interview with Le Temps newspaper, Ricardo Seitenfus said that the arrival of MINUSTAH in Haiti did not accomplish great things to the population. Mr. Seitenfus went on to say that: "When the level of unemployment is 80 per cent, it is unbearable to deploy a stabilization mission. There is nothing to stabilize and everything to build." Ricardo Seitenfus commented that the presence of MINUSTAH in Haiti made things worst instead of better. He also said that " [They] want to turn Haiti into a capitalist country, an export platform for U.S. market, it's absurd." I do not know where the Director of the Stabilization Mission in Haiti, MINUSTAH, gets his information. 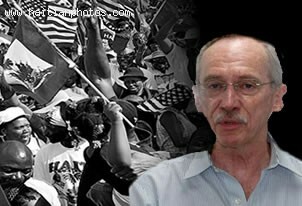 Following the 2010 Haiti election, Mr. Edmond Mulet said: " "in general everything goes well, all is quiet. There are minor incidents in Desdunes (north of the country) but there is no reason to fear because it is a party election." Was he looking at the same thing we were looking at? Please, can someone tell me? Is Mulet referring to the election in Haiti that took place on November 28? Were these Haitians inspired by the prison break following the earthquake of last January? The "Haitian Joudalist" learned that two inmates from Haiti National Penitentiary had a clever idea and wanted to execute it last Sunday. They were trying to escape from the prison roof but instead shot dead. What kind of planning is that? I guess Haiti National Penitentiary that was damaged by the January earthquake, offered them a golden opportunity to escape prison, and as it was done over nine months ago, many prisoners think this time they could escape as well. According to what the Haitian Joudalist learned, there has been a mass execution execution in a prison in Les Cayes Haiti and this was conducted by the people who was supposed to protect us. The United Nations peacekeeping mission in Haiti says it is investigating the shooting of dozens of prisoners during a jail riot shortly after the earthquake in January. The New York Time reported that close to 19 Haitian prisoners were killed in execution style. The Haitian police officers stormed the jail in the town of Les Cayes. They opened fire on the unarmed Haitian prisoners, killing between 12 and 19 and injuring more than 40 others. Can the Haitian Police provide security to quake survivors? As it was the case for most Haitian institutions, the Haitian Police suffered a severe blow as a result of the 7.0 magnitude earthquake that devastated Haiti. 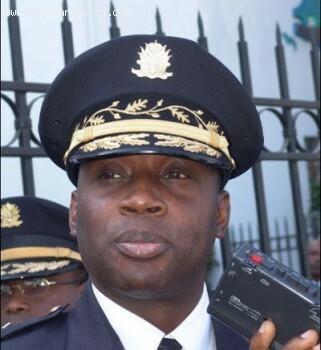 Haitian Police conceded they had lost their battle to maintain order in Port-au-Prince. Many Haitian gangs have been able to reclaim their old turf since being freed when the national prison collapsed following the earthquake. In an attempt to maintain order, the Haitian police recently opened fire on looters, killing at least one of them as hundreds of rioters ransacked a market in quake-hit area of Port-au-Prince.